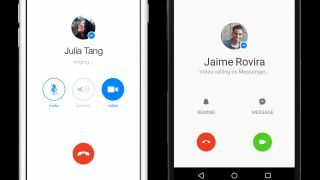 If Apple's Facetime and Google Hangouts aren't cutting it for you, video calling is now available via Facebook's Messenger app. Announced today, you can simply tap a video icon in Messenger and start chatting away face to face ... through Facebook. So many faces. Unlike the social media company's other app, Hello, video calling is available on both iOS and Android devices. Mobile to mobile calls are also allowed between the platforms. Video calling through Messenger is rolling out now in the US, UK and several other countries with wider availability in the coming months. Did you know there are there are 936 million active daily users on Facebook?